I just happened to be doing a little bit of inter-crate digging (in which I go through the massive pile of records in the Funky16Corners Record Vault and Blogcasting Nerve Center to see what I overlooked) and what should I pull out of a box but the Association’s 1966 ‘Cherish’ 45. Now ‘Cherish’ is a lovely song, but I don’t need to record it/place it on the iPod to know what it sounds like. Fifty years of repeated listens have worn it into my brain. That said, I flipped it over and realized that I didn’t recognize the B-side, ‘Don’t Blame It On Me’, so I gave it a spin. As soon as I did, I knew it was a keeper and that I needed to post it, for you see, it is a shining example of the kind of sonic fingerprints Curt Boettcher was likely to leave behind when he was working on a record. 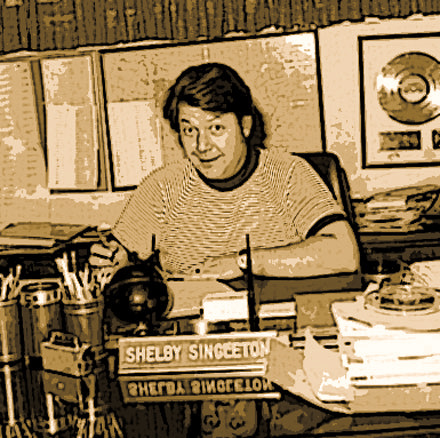 The ‘production’ for which he is credited is just fine, but – the devil being in the details – it is in the backing vocals where Boettcher pops up, like the smartest kid in class, yearning to be called on, his hand in the air, going ‘Ooh! Ooh!’. If you listen closely enough to the records that he worked on in his prime, whether his own projects, like the Millennium, or any of the countless production/arranging jobs he did, especially stuff like Tommy Roe’s ‘It’s Now Winter’s Day’, the vocals, styled by Boettcher are one of the first thing you notice. 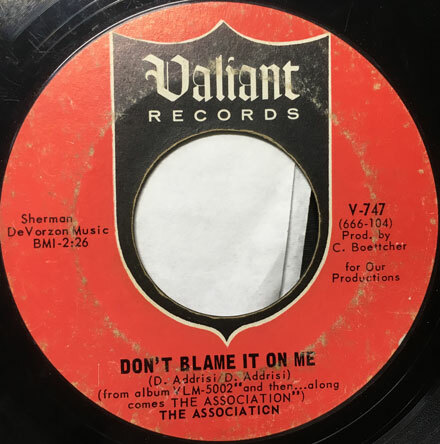 ‘Don’t Blame It On Me’, written by the Addrisi brothers, who would also pen ‘That’s When Happiness Began’ (recorded by the Montanas and the Grains of Sand) and ‘Never My Love’ (a huge hit for the Association the following year), is a pleasant pop tune, and the lead vocals are fine, but when the backing vocals pop in, it is instantly elevated to another level entirely. Those clear, high, immaculate Boettcher harmonies jump out of the mix like an exotic and spicy artisanal mustard applied to a run of the mill hot dog. So, what you get is a nice Association 45, with a spectacular garnish. Not bad for a nickel (or probably less). 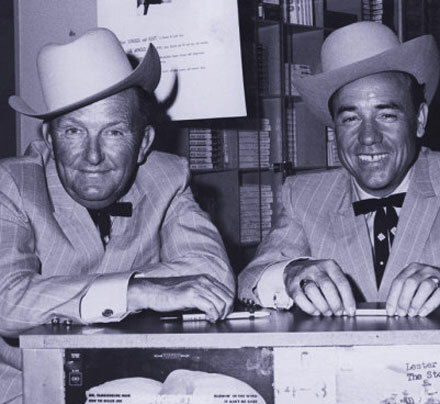 The names of Lester Flatt and Earl Scruggs should be immediately familiar to anyone with even a little bit of knowledge about American roots music, but they might also ring a bell for reg’lar folk, too. Flatt (guitar) and Scruggs (banjo) had been playing together in the Foggy Mountain Boys since the late 40s, started recording for Mecury, and switched to Columbia (their longest association) in 1953, where they stayed until they broke up in 1969. The duo had pop success (something that could rarely be said about bluegrass bands) when they hit the charts with ‘The Ballad of Jed Clampett’ (the theme from the Beverly Hillbillies) in 1962, and then again in 1967 when the version of ‘Foggy Mountain Breakdown’ that was included in the movie ‘Bonnie and Clyde’ made it onto the radio. If you take a look at their 1960s Columbia discography, they were recording a lot of interesting, contemporary material, covering songs by Bob Dylan, Donovan, Gordon Lightfoot, the Monkees, and – as you’ll hear today – the Lovin’ Spoonful. 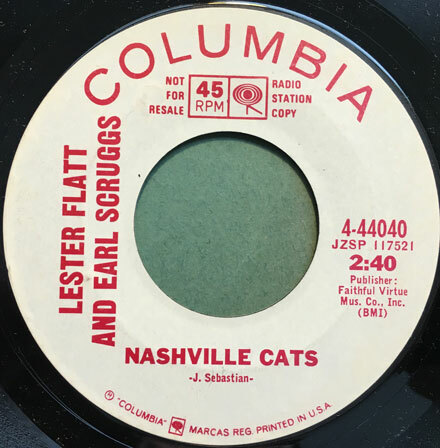 Apparently Earl Scruggs had himself a progressive set of ears, aimed at the pop charts and contemporary relevance, which would explain the list above, but apparently also displeased Lester Flatt, and was responsible for the duo going their separate ways at the end of the 60s. The cool thing is (and it is unfortunate that Flatt wasn’t more flexible in this regard) they weren’t trying to glom onto pop trends carelessly. Their selection of modern material was always made with an eye toward affinity with their sound, and the songs were presented in a straight up hillbilly style, even ‘Like a Rolling Stone’ (though it is kind of funny hearing the lyrics delivered in a country twang against a background of banjos and dobros). 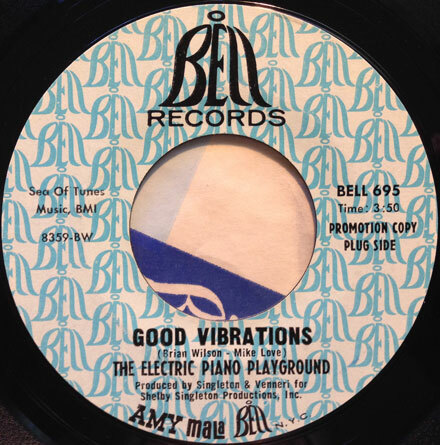 Today’s selection is a 1967 cover of the Lovin’ Spoonful hit from the previous year. It certainly helps that the Spoonful had a vein of old-timey, jug band sounds running through their catalog, and the subject matter of the song was custom made for the country market. Flatt and Scruggs deliver ‘Nashville Cats’ in a familiar manner, only breaking out near the very end for a fast-moving, banjo-picking breakdown. 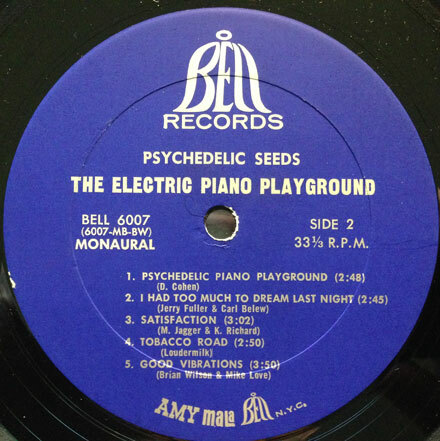 Their version actually charted in a couple of markets in the Spring of 1967. It’s a groovy little curiosity and I hope you dig it. I have a really special one for this month, that has been percolating in the back alleys of the windmills of the hallways of my mind for a while. If you follow the blog or the podcast you will already know that I dig the work of the mighty Van Dyke Parks a great deal, and it occurred to me that I ought to assemble the various bits and bobs of his 60s and 70s career into one, semi-cohesive picture, which is what this episode is all about. We take a look at VDP’s work as a songwriter, performer, producer, arranger and even in one instance ‘catalyst’. He is one of the most interesting and talented musical figures of the second half of the 20th century, and I think you’ll dig what I’ve put together. So settle in, oil up your ears and dig the sounds.